Characteristics that often come to mind when we think of a subway station are, in best cases, utilitarian and spartan. Too frequently, the list also includes cold, drab, and depressing. If we assume this to be a generally accurate assessment, then the teaser for Jiro Dreams of Sushi may appear to be a curious creation of fiction. 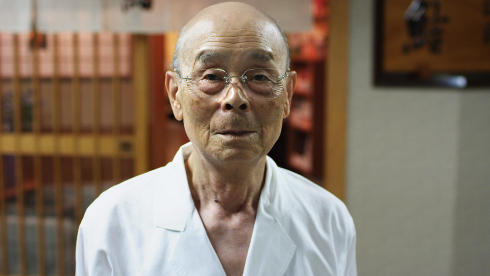 But Jiro Ono and his sushi restaurant are very much real. This documentary tells the story of his 75 years of dedication to his craft and ascent to the apex of his field. Granted, the subway station is none other than the stop in Ginza, Tokyo’s answer to Manhattan’s Fifth Avenue, but I’d like to think it still makes the point that the impact of subways (and transit networks in general) can extend well beyond their primary function, serving as a platform and catalyst for many other types of activity. Far from being lifeless points of departure, stations and their surrounding neighborhoods can themselves be vibrant destinations. Across town, in the buzzing hubs of Shinjuku and Shibuya, there is so much going on inside, above, below, and around the train stations one could conceivably wander around the length of a day and never end up beyond sight of the complexes. Even moving away from Tokyo’s dense core, one still finds at least a market or convenience store and other basic services co-located with most stations. Coming back to Jiro, the utterly unpretentious setting for his life’s work is not a half bad metaphor for his approach to the food itself. Jiro eschews unnecessary embellishments. The sushi epitomizes simplicity. Lay customers and professional peers alike are routinely amazed that his uncomplicated approach can give rise to something so delicious. What they don’t see is that the complexity is there, just not in the final result. The success of the restaurant depends entirely on planning that happens before any piece of fish is served. Jiro and his team select only the best raw material, give utmost thought and care to their techniques, and constantly seek improvement. All can benefit from such a considered approach to designs and labors, whether preparing a prized cut of tuna or building the infrastructure that supports our communities. Michael – this is such a cool story. What an inspiring, and enterprising, man!